Kusadasi, a popular resort town on Turkey’s Aegean coast, offers much more than tours to Ephesus. 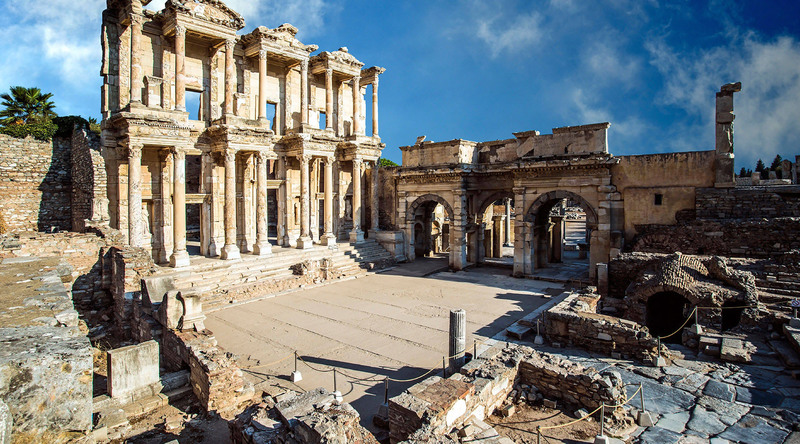 Most first-time cruise visitors will flock to the ancient Greek, later Roman, city of Ephesus. But not being one to follow the crowd, I opted to experience a new tour called Cruise Global, Meet Local: Taste of Turkish Country Life. Our small group of six guests, a tour guide, and a representative from Azamara’s Azamara Shore Excursions team headed to the hills away from Kusadasi’s waterfront. After a twenty-minute drive we arrived at a lovely farm property set against the mountains. Our hostess for the day was Alsi Kumari. With the assistance of five staff members and our local tour guide, Alsi helped us learn about life in Turkey - including insight into the culture, food, history, and customs of the region. The family’s home has a bountiful garden and open-air sitting areas. The kitchen and main home are separate, which is unique (especially for me, as I live in the concrete jungle of Southern California). Before joining the family in the preparation of our Turkish meal, we toured the house, which has an impressive display of furnishings and antiques that Alsi’s mother has received as gifts and curated from around the world. We began the day with tea and ended our stay with Turkish coffee. In addition we also had a refreshing fresh squeezed tangerine juice from the trees in the orchard and during lunch we were treated to lemonade. Using the freshest produce, some of which came from the nearby garden, our group learned how to roll dolmas (stuffed grape leaves) and got insider tips for making the perfect rice and local dishes that are typical of the region. I would suggest that people eat a very light breakfast since much of the experience centers around eating and drinking (not alcoholic drinks, by the way). I have been on tours to visit locals in their homes before and in some instances, I have found that they were boring, scripted, and a bit of a dog-and-pony show. Bottom line, my Azamara Cruise Global, Meet Local tour was engaging, entertaining and genuine. Probably the best gauge for me was the fact that at the end of four hours I felt like I could have stayed longer hanging out in the comfortable outdoor living spaces while enjoying another cup of tea. Click here to learn more about Azamara's unique Cruise Global, Meet Local tours.